on a Par 3 hole. 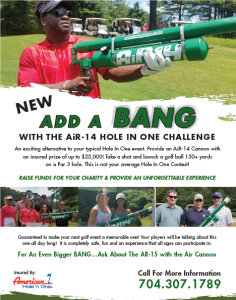 This is not your average Hole In One Contest! one all day long! It is completely safe, fun and an experience that all ages can participate in.